theme parks in Orlando, but I prefer the more intimate and unique events - as well as the gatherings that foodies would appreciate. 1. 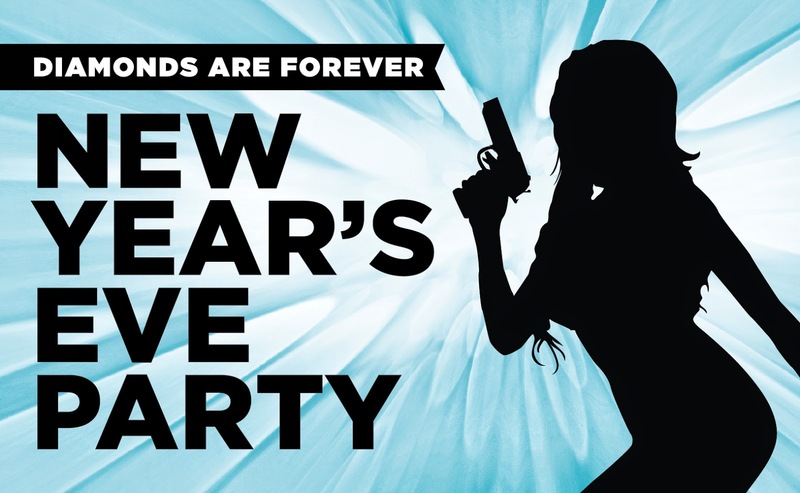 Enzian Theater's annual James Bond New Year's Party. Come "dressed to kill" as James Bond or your favorite Bond girl and you could win a fabulous prize. "Diamonds are Forever" starts at 5:30, and the New Year's Eve party with champagne, signature cocktails and a DJ begins at 8. 2. The Orlando Museum of Art is holding its first New Year's Eve party! It features red carpet entry and valet, live music by Soul Funktion, yummy food and drinks and fireworks. 3. Rangetsu Japanese Restaurant and Bar. This year, the restaurant is featuring taiko drummers at 9 p.m. and midnight, along with its delicious sushi and special dishes. 4. Sam Snead's. Enjoy prime rib, Grouper Oscar, and other special New Year's Eve dishes while listening to Mudel & Co.
5. Carmel Kitchen Winter Park. Enjoy a special menu, including cold water lobster tails, and 90+ point rated wine for $10 per glass. This is the atmosphere for a fun but laid-back New Year's Eve! Where will you be ringing in 2015? Leave your suggestions for us in the comments section below! 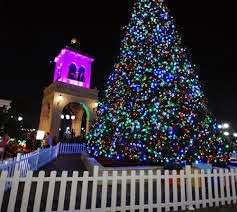 One of the must-visits this holiday season is Cranes Roost Park's Christmas light display. It is probably the best non-residential display in town. Kids and adults love walking the mile around the lake to see the oversized animal displays and lit arches. My favorite part, though, is the massive Christmas tree near the "dancing fountain". Before we went to see the great lights the other night, we ate at the nearby Tuscan Pizza (formerly Red Brick Pizza) near Marshall's, so we could easily walk to the lights. Tuscan Pizza is a very family-friendly place that has pretty good food (not excellent, but pretty good). There are flat-screen TVs and remote controls at each table, which I don't like, but I guess it helps keeps kids occupied. You order your pizza, salads or sandwiches at the counter, and they are made-to-order in front of you. We tried the Mushroom, Hamburger and Mozarella pizza which was fairly good. Not the best we've ever had, but some good flavors. We were suprised that the Chinese Chicken Salad was so good, with fresh ingredients including mandarin oranges. Our favorite part was the dessert, with several gelatos and sorbets to choose from, at a reasonable price. The pistachio gelato is a must-try, as is the strawberry sorbet. While I wouldn't make a special trip to Tuscan Pizza, it is definitely a fun, convenient place to dine when visiting the magnificent Christmas lights at Crane's Roost. This Winter Park family must be fans of the Osbornes, the famous family in Arkansas that added so many Christmas lights to their house that they had to buy houses around them to expand their light display. Finally, they were shut down by the city and donated their lights to Walt Disney World, which now features the Osborne Dancing Lights at Disney Hollywood Studios. Every year around this time, my family makes the short trip to Winter Park to view not only the main house in this neighborhood that is covered with lights, but also the other houses in the neighborhood. Two houses feature garages full of mini town displays, complete with bridges, waterfalls and even mini hot air balloons. These houses have become a tourist attraction, and one offers the ability to donate to disabled veterans. Back to the main house that drew us to the area in the first place: something like 800,000 lights are used on the outside of the house. But we also love the garage display with life-size Santa and Mrs. Claus and the beautiful window displays with working toy trains. The front yard is covered with lit mechanical Christmas displays, such as teddy bears riding a ferris wheel. I can honestly say I have never seen anything like this. Make sure to take your family to this amazing sight this year. And let us know which other neighborhoods have great Christmas lights displays in the comments section below! Where: Garden Grove Circle, Winter Park, Fla.